Company is a leading provider of hosting and web design services companies . Official Egyptian company licensed by the Egyptian Ministry of Communications . Registered with the Egyptian Civil Registry number : 14302 MNF . Egyptian tax file number : 1 / 7 / 602 / 1284 / 5 . 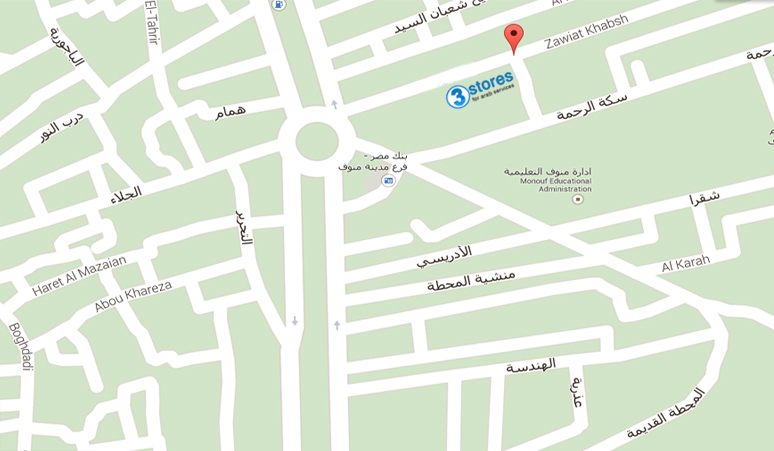 Egypt – Menoufia – Menouf – 21 Azhar street . 3Stores is an Egyptian official hosting company licensed by the Egyptian Ministry of Communications and recorded commercially by Chamber of Commerce.